National Geographic's The Long Road Home premieres tonight, Nov. 7 at 9/8c. Based on Martha Raddatz's best-selling book, the series chronicles the real events of "Black Sunday" (April 4, 2004) when members of the U.S. Army's 1st Cavalry Division were ambushed in Sadr City, Iraq. 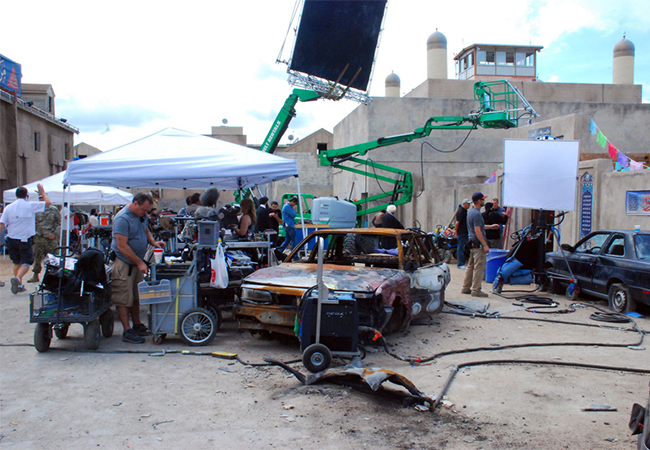 Filming locations include: Fort Hood in Killeen, Austin, Copperas Cove, Fort Worth & Harker Heights. 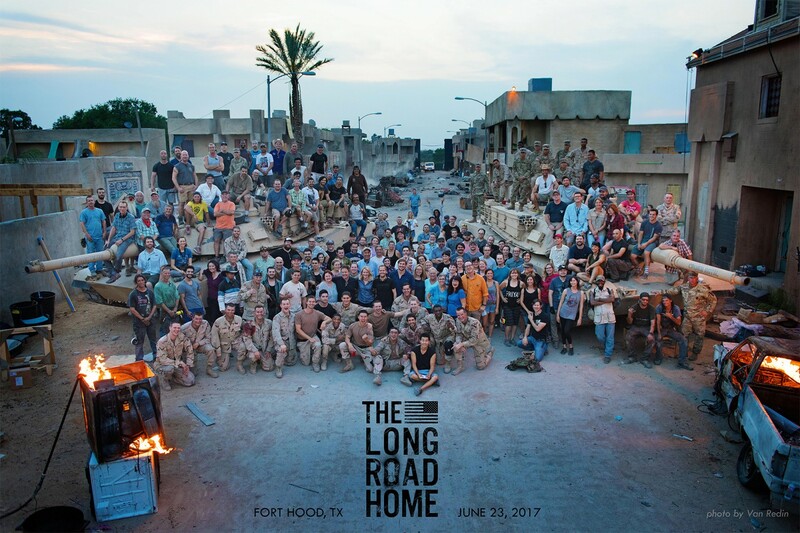 The Long Road Home is yet another production that showcases the far-reaching impact of the Texas moving image industry, and we are so excited to see what the Texas talent, crew, vendors, military personnel and veterans have created! Approx. 1,250 of 4,450 background cast bookings were veterans or active military personnel. Two of these were from the First Cavalry Division that is portrayed in the series. 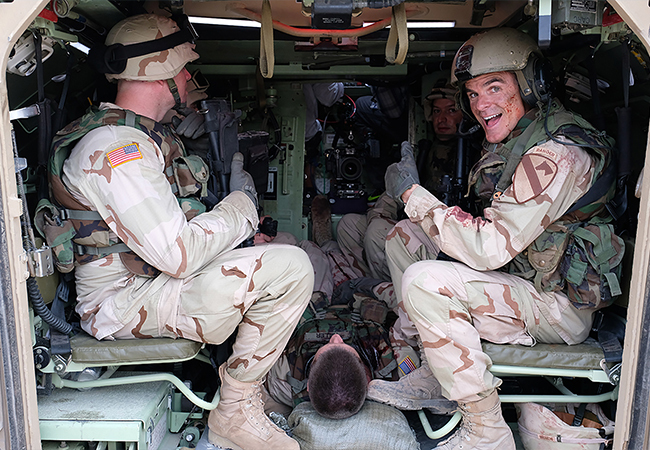 Actual combat medics and ER nurses from local schools were hired as extras in those scenes to add to their authenticity. Two actual members of the 2004 2/5 Cav Charlie Company were hired as military consultants to assist in the props department. Hired 485 local crew and 58 local cast members, including 40 crew and 3 cast members from the Killeen area. Over 4,450 background cast bookings were made. 12 acres of scenery were built (half the size of Disneyland), which took 5 months of major design work and research with 14 weeks of bulk construction and set dressing. 113 buildings were used, of which 85 were newly-constructed. More than 35 army vehicles including Abrams Tanks, Bradley Fighting Vehicles, Humvees, LMTV 2.5 ton trucks, and misc. support vehicles were used. 3,000 linear feet of newly constructed facades (the length of a 54-car train). 3,200 feet of drivable roads on 13 streets and alleys (the length of three aircraft carriers). 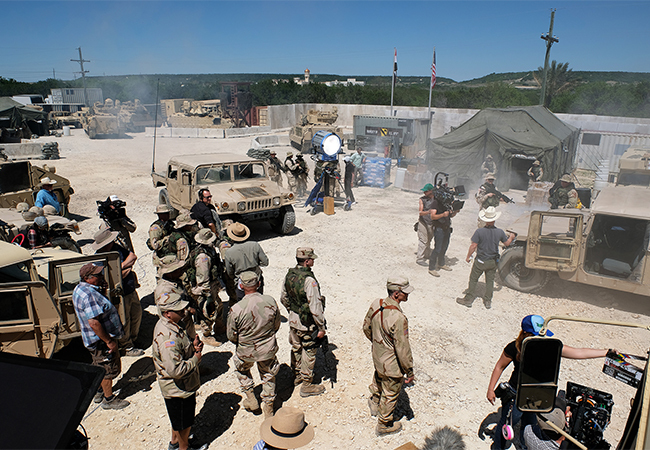 A projected $1.05M was saved by shooting on the Fort Hood training range instead of an L.A. backlot. During the time of production, the series constructed the largest working set in North America. The above required 5,921 sheets of plywood (four miles long, laid end-to-end), 360,000 yards of sand, over 1,000 gallons of paint and was assembled by 100 crew men and women. Booked more than 12,393 nights in Texas hotels. 275 costume fittings total with 3,000 loads of laundry. Rigged over 3,500 special effects bullet hits. Vetted around 2K persons for access to Fort Hood. Given up to 30 haircuts per day. 30 miles of wire in total for special effects rigging. Purchased 1,000 pairs of boots & 4,500 hangers. Click here to view the "Now Showing!" November 2017 newsletter. All numbers above are approximate/projected and were compiled and provided by members of The Long Road Home production.